Selective Sounds in San Jose, CA - Providing musicians earplugs, Custom Inear Monitors and Custom Earplugs. Ear impressions are required for custom products and are created at time of appointment for an additional fee. (Please call for pricing) Click here for impression details. VIEW ALL OF OUR CURRENT TESTIMONIALS! 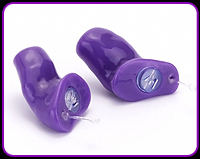 Protecting your hearing is incredibly important, and custom hearing protection is one option available. Please remember to always use some form of hearing protection when exposed to loud sounds. This earplug is the choice for discriminating performing musicians or concert-goers. The flat attenuation characteristics allow the music to be heard accurately but at a safer volume. Comes with 9dB, 15dB, or 25dB filter. With a low profile and selection of four interchangeable filters, TRU Customs allow your to protect your hearing and select attenuation to match your listening style. Each custom earpiece is precisely fitted to your ear canal utilizing 3D digital scanning and manufacturing, providing maximum comfort, discreet size, and incredible clarity. Westone will keep your digital ear impressions in our proprietary Ear Vault™ for two years should you need a replacement. 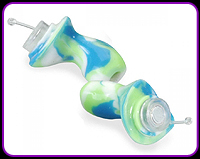 TRU Customs are available from your local hearing care professional.